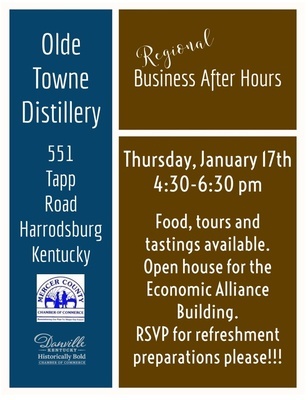 Our January Regional Chamber Business After Hours event hosted with the Danville Boyle County Chamber of Commerce. 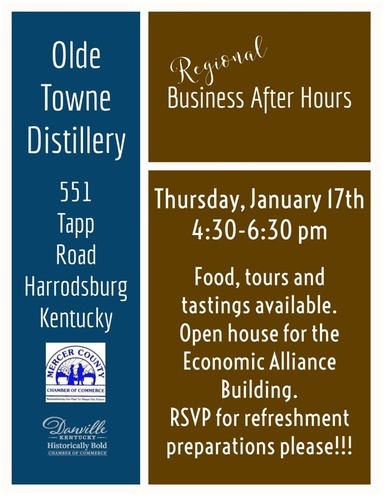 Food, tours and tastings available and open house for the Economic Alliance Building. 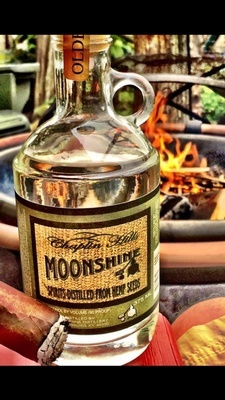 RSVP for refreshment preparations please !!! Free to attend, but RSVP's are needed.